Coverage of the 1990 Seminar: "New Directions in American Theater"
Presenters: Joanne Akalaitis, John M. Bradley, Vinnette Carroll, Constance Congdon, Jane Ann Crum, Christine Arnold Dolen, Christopher Durang, Maria Irene Fornes, John Guare, Len Jenkin, Emily Mann, Bonnie Marranca, Joseph V. Melillo, Julia Miles, Donn Murphy, Eric Overmeyer, Wendy Wasserstein, Mac Wellman, and Lanford Wilson. Pulitzer Prize winning playwright Wendy Wasserstein. Photo by Alan Maltz. KWLS board member Lynn Kaufelt arrives to the 8th Annual KWLS alongside Pulitzer Prize winning playwright Wendy Wasserstein. Photo by Alan Maltz. Playwright Vinnette Carroll. Photo by Alan Maltz. Playwright Maria Irene Fornes. Photo by Alan Maltz. KWLS board member Jean Trebbi alongside Tony Award winning playwright John Guare. Photo by Alan Maltz. Tony Award winning playwright John Guare. Photo by Alan Maltz. 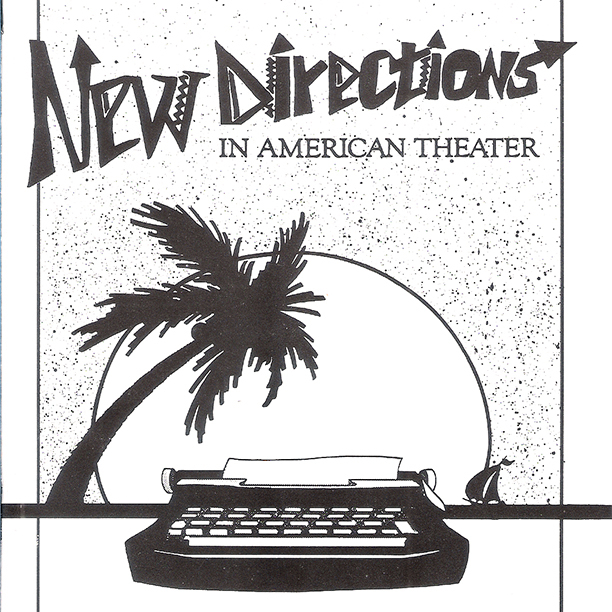 Ralph Lane at the New Directions in American Theater: 8th Annual KWLS in 1990. Photo by Alan Maltz. A reading by TCG Publications. Photo by Alan Maltz. Keynote speaker Joseph Melillo, President and Artistic Director of the New York International Festival of the Arts. Photo by Alan Maltz. (L-R) Playwrights Eric Overmyer, Mac Wellman, and founder of MABOU MINES Joanne Akalaitis during the panel, "New Voices in the American Theater: Testing the Limits of Language". Photo by Alan Maltz. Playwright Eric Overmyer during the panel, "New Voices in the American Theater: Testing the Limits of Language". Photo by Alan Maltz. Playwright Maria Irene Fornes during the panel, "Identity in the Melting Pot: Ingredients of Political Theater". Photo by Alan Maltz. Playwright Vinnette Carroll during the panel, "Identity in the Melting Pot: Ingredients of Political Theater". Photo by Alan Maltz. (L-R) "Money, Money, Money: The Moral Dilemma" panel with playwrights Emily Mann, John Guare, Wendy Wasserstein and theatre critic Christine Arnold Dolen. Photo by Alan Maltz. The reception for the New Directions in American Theater: 8th Annual KWLS in 1990 at the Martello Museum. Photo by Alan Maltz. KWLS founder David Kaufelt onstage. Photo by Alan Maltz. Writers Philip Caputo and KWLS board member David Ethridge at a reception. Photo by Alan Maltz. Pulitzer Prize winning playwright Lanford Wilson. Photo by Alan Maltz. Playwright Constance Congdon during a reception. Photo by Alan Maltz. Novelist Thomas Sanchez (center) during a reception for the New Directions in American Theater: 8th Annual KWLS in 1990. Photo by Alan Maltz. Pulitzer Prize winning playwright Lanford Wilson speaks to founder of MABOU MINES Joanne Akalaitis (left) and playwright Maria Irene Fornes at a reception. Photo by Alan Maltz. KWLS board member Lynn Kaufelt (center) with seminar attendees during a reception for the New Directions in American Theater: 8th Annual KWLS in 1990. Photo by Alan Maltz. KWLS board member David Ethridge during a reception. Photo by Alan Maltz. KWLS board member Frank Taylor (center) at a reception for the New Directions in American Theater: 8th Annual KWLS in 1990. Photo by Alan Maltz.